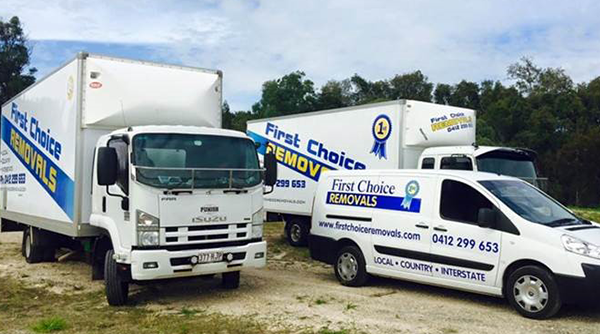 First Choice Removals is a local family owned moving company with over 25 years’ experience in the removalist industry on the Gold Coast and interstate. At First Choice Removals we offer comprehensive removalist Gold Coast services, First Choice Removals also offer their removal services to the Brisbane region, as well as interstate removalist services from Sydney to Mackay and all the country towns in between. We have a reputation in the Gold Coast removalist industry for honesty and being a reliable company that will turn up on time, be polite, friendly, hard working and take care of your precious items as if they were our own. We look after your goods and we stake our name on that. Years of experience and quality staff training process allow us to work as efficiently as possible while still affording us the time to properly take care of your valuable furniture and items. Our 25 years of removalist experience on the Gold Coast is quickly apparent when you watch us handle items, stow them safely and compactly in a very swift and precise manner. Our many positive five star reviews further confirm our commitment to moving company customer service excellence. Free Removals Insurance is included in every Gold Coast furniture removal or interstate move. Instead of haggling over insurance costs and having customers potentially putting your items at risk we decided to include transit insurance free to all customers. While the risks are low, if the worst happens you can be assured you will always come out on the right side with our removalist transit insurance. This is part of our professional and thoughtful customer first approach to furniture removals. Customers often say they think our personal, friendly service is second to none why not try and see why we are consider one of the best removalists. If you need boxes and packing supplies you can order them from us when you book your move. We even offer free delivery for orders of more than 50 boxes within 30km of Burleigh Heads. We appreciate that moving budget maybe your first concern. If you are looking for a cheap removalist service we offer the following advice, consider hourly rate does not always translate to cheapest total price, consider the insurance coverage while in moving your furniture, how much man power and their reputation for good service. We are confident we are very competitively priced and that our customers overall pay less for more at the end of the moving job. Please consider the following items when choosing your local moving company. We know many families are busy. First Choice Removals offers a comprehensive done for you packing service. 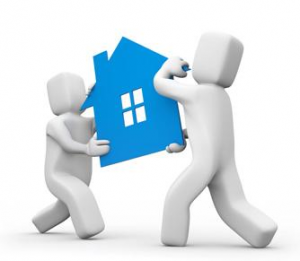 Our trusted removalists will safely pack all your house hold items, furniture and appliances. Each item will be professional wrapped with impact packing, bracing and protective card board and boxing. If you require we will gladly place and unpack all your items into your new home or office. This makes our furniture removal and packings service a end to end no hassle way to move. Are you moving to Sydney, NSW? or Brisbane? we have a regular run going as far as Mckay in Queensland. Whether you are moving a large house or just require some backloading for a few items or partial load we recommend calling us for a interstate removals or backloading quote first. We have a small item moving service for just that situation. Whether it is a small single office move, furniture from a single room or just one item to big to handle we can help. Call or email for pricing.